My Domestic Monastery: A Single Bead - A Book Review and Giveaway!!! A Single Bead - A Book Review and Giveaway!!! I was recently invited to read and review A Single Bead. 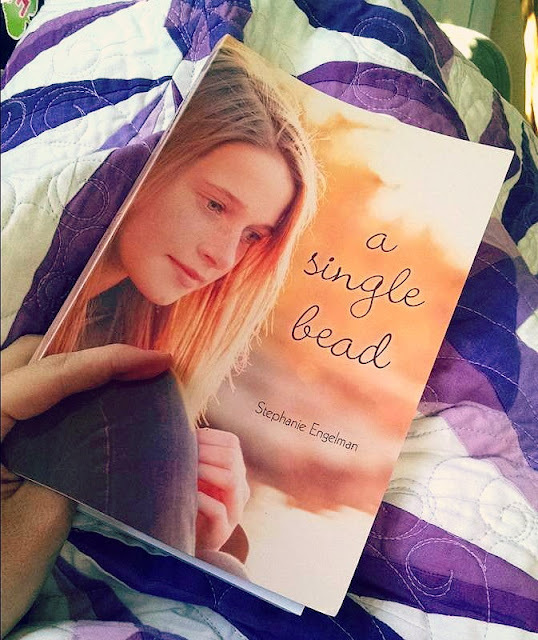 Written by Stephanie Engelman (who blogs over at A Few Beads Short) this beautiful little novel is a part of the Pauline Teen offerings. "On the anniversary of the plane crash that took the life of her beloved grandmother and threw her own mother into a deep depression, 16-year-old Katelyn Marie Roberts discovers a single bead from her grandmother's rosary-a rosary lost in the crash. 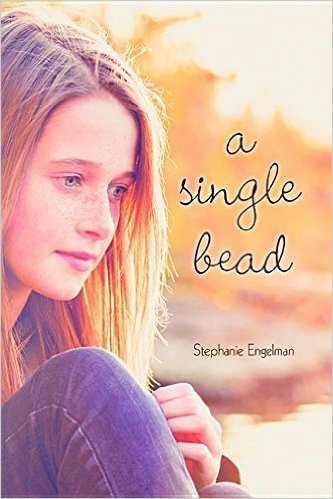 A chance encounter with a stranger, who tells Katelyn that a similar bead saved her friend's life, launches Katelyn and her family on a quest to find the other missing beads. Their mysterious journey, filled with glimmers of hope, mystical encounters and unexplained graces takes them further into the unknown. Katelyn turns to the Rosary for answers and soon finds that family, prayer and the help of others may be the key to restoring what was lost." This is the book that I wanted to read when I was a teenager - a book steeped in Catholic culture with a beautiful, compelling story line. Although my teenage years are but a memory, I still thoroughly enjoyed this book. I'm always a little bit leery of reading religious fiction, as it sometimes sacrifices quality writing for the sake of conveying the message. Engelman's book does not fit that stereotype. The writing is simply beautiful, the characters are rich and full, and the entire book is extremely readable. In a world that is often hostile to Catholicism, it was reassuring to be lost in a story that was so thoroughly steeped in Catholic culture. Although the main character does not have a particularly strong faith at the outset of the story, she is surrounded by a large and loving extended family that does. Yet, there is nothing preachy about her family. Their faith is believable because they practice what they preach, and in a time of family crisis, they pull together and find a way to pull through. The rosary, Mass, the faith - they do not overpower the family experience. They are simply and naturally woven throughout. Kate's aunt invites her to go to Mass with her at one point, but she also takes her out to dinner. This natural interaction of faith, family, and food - the Catholic trifecta, as any good Catholic knows - carries Kate through a time of doubt and anxiety. Not only does Kate's extended family offer her emotional support, but they feed her warm food and surround her with companionship at table. I'm reminded of James 2:16, which says, "If one of you says to them, "Go in peace; keep warm and well fed," but does nothing about their physical needs, what good is it?" This family gets that. But most importantly, the writing in this book is simply beautiful, and it makes the reading experience cathartic. I'm not sure what your personal history is, in terms of life, family and friend relationships, healing and grief - but no matter what your background, I'm sure there will be something here that may strike a chord with your own suffering. I've never known the grief that Kate knows, but I've known my own griefs, and sought my own hope. I find a real comfort in this novel, and in Engelman's ability to bring the emotions and faith of Kate to life. A truly good book brings you through a place of pain, shows you bits of beauty, and leaves you with a deep sense of hope. This book does that. The ends don't need to be perfectly wound up in a good book, and it tends to be more realistic if they aren't. Although there is reconciliation at the end of this book, the ending isn't perfect and tidy (as no real life ending is). But the ending is infused with hope. I highly recommend this book - for your adolescent or teen, for the young adult in your life, for someone of any age who is in need of a story of hope and healing, and especially for anyone with a deep and abiding love for Mary, our Blessed Mother. You can purchase the paperback or e-book copy of this book on Amazon, or directly from Pauline Books and Media. Pauline Books and Media is generously offering one lucky winner a copy! Fill out the Rafflecopter below for your chance to win. :-) Giveaway closes on Friday night at 11:59 p.m. I like all of the sorrowful mysteries. My favorite part of the rosary is the Hail Mary! My favorite mystery? Hmm...I think I tend to gravitate toward the Visitation and Nativity during this season of my life. My favorite mysteries are the Sorrowful. Nice review of Stephanie's book! Stephanie and I are both in the Catholic Writers' Guild. We and several other Catholic YA authors have joined together to help spread the word about books for Catholic teens. If you haven't already, please join our Facebook group, follow our Pinterest board, and our Instagram account!